Welcome to Week #5 of our Fiber Arts Fiction Friday (FAFF) series! 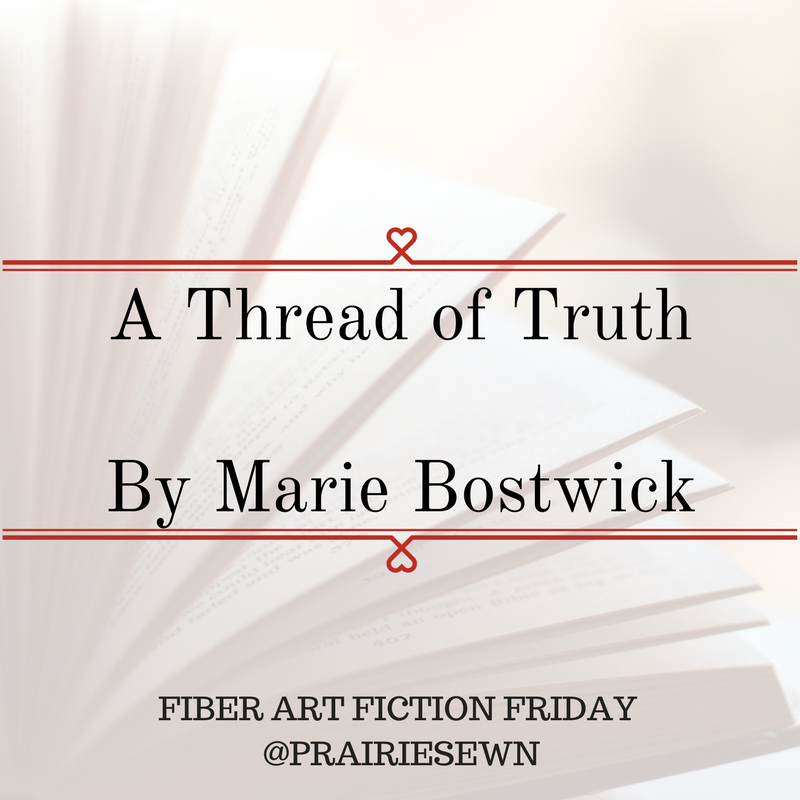 This week we’re coming back to my favorite Fiber Arts Fiction author, Marie Bostwick with the second book in the Cobbled Court Quilt series, A Thread of Truth. A Thread of Truth brings us back to New Bern, Connecticut community, this time focusing on the life of Ivy Peterman. Ivy landed in New Bern with her two young children having fled an abusive marriage. Ivy and her family begin work to rebuild their lives with the help of some of our favorite New Bern residents. Ivy connects with the Cobbled Court Quilt Shop and soon begins working there. Everything is going well until her abusive ex-husband spots her in a background shot for an episode of Mary Dell’s popular quilting show being filmed in the shop. Once again, the women of Cobbled Court draw together to protect one of their own. These ladies do NOT back down from their protection of Ivy and her children, even when threatened by the abusive ex-husband. This is another great book in the Cobbled Court Quilt series. I really enjoy how the book is written from the perspectives of the various characters, while always keeping the story of Ivy and her children front and center. This is another powerful book for demonstrating the friendship and compassion that can develop within a close group of friends. It also brings to light the super important and very real issue of domestic violence and abuse, demonstrating how challenging it can be to escape the cycle of abuse.